Christmas is just days away and if you are STILL looking for a few gift ideas for Grandma and Grandpa, look no more. It's hard to shop for my parents. I mean what do you get for the people who really have EVERY thing. Have no fear. Here are 5 great gift ideas for Grandma and Grandpa. Parents love receiving pics of the grands and great grandkids. No time to gather the entire family together? No worries. You and your siblings can snap photos of the kids on your phones and create a collage of all the grandbabies. Once you design the perfect collage, make it really special by creating a canvas of the pic. 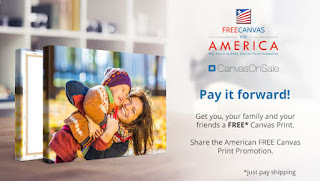 Click here to snag a FREE 12x8 Canvas Print from CanvasOnSale.com. The code does not include shipping. My kids love drawing and grandparents love to show off their little Picassos. Let the kids create a special drawing for grandma and grandparent and grab a cute frame your nearest craft store like Michael's or Hobby Lobby. Be sure to snag the online coupon by visiting their website. Have some baby jars or mason jars hanging around? In a Jar gifts are easy to make. Whether it's soup in a jar or brownies in a jar, the grandparents will enjoy showing off their grandkid's culinary prowess. Search Pinterest for some deliciously easy In a Jar Recipe Gift ideas. You can even let the little ones decorate the jars to make the gift even MORE special. One of our faves is Bean Soup. My mother in law loves minestrone but it's just her so rather than gift her with a huge mason jar soup in a jar, we opt for baby food jars. Baby food jars are ideal for making Minestrone in a Jar soup for 2. Simply layer green lentils, barley and red beans in the jar. Top with a beef bouillon cube and tie a packet full of aromatics like parsley flakes, thyme, fresh basil, cilantro, etc. Type cooking directions and attach using ribbon or raffia to make your jar like a little more festive and tada. Subscription boxes are all the rage. 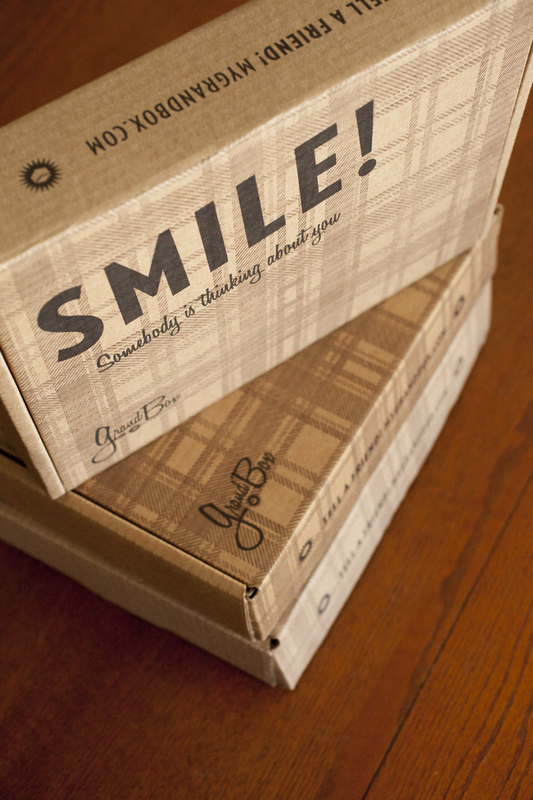 Would you believe there's a subscription box for grandparents? Yep, Grandbox is designed specially for those ages 65 and older. 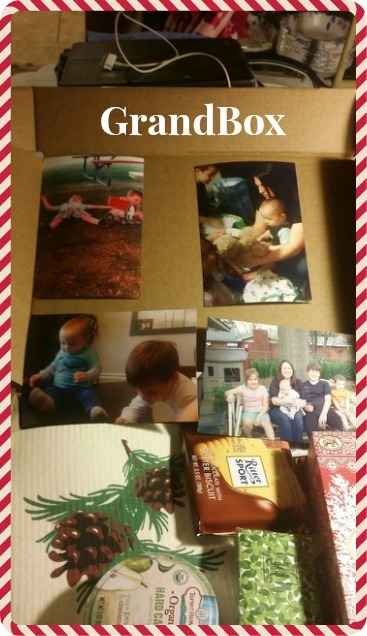 Each box is full of nostalgic items from all over the world and you make it personal by uploading pics so the grandparents can see how much the kids have grown throughout the year. Can't wait til Grandma sees this one with pictures of ALL the grandkids. We put a pics of Grandma with the kids from a Summer backyard barbecue and a few pics of baby's 1st birthday in our GrandBox and she was totally surprised. She loved it. Our GrandBox was full of goodies she hadn't seen in years like old fashioned tea biscuits. The box even contained a new spin on some old favorites, like the organic hard candies. Tasty. Tasty. Grandparents enjoy spending time with the grandkids. I remember special times with my grandparents and now that both my grandmothers have passed, all I have are memories of the time we spent. My maternal grandmother passed on the day of the twins' preschool graduation. I am thankful for the time she got to spend with her great grandchildren and even though they'll never meet her, I have my memories of her time with them to share with them. They were too young to remember the time she was babysitting. She had come to Cali to visit and she insisted she could handle the twins. I went to the grocery store and I came home to a pair of sleeping twins, a tired granny and a broken lamp. OMG! My grandma was wiped out but she laughed and must've told that story to every member at her church and every time she saw the twins she would laugh saying "Remember the time I babysat my great grandsons..."
Time is the ultimate gift but just let them know you're thinking of them. What are some of your tried and true gifts for grandparents?